The towering Cradle Mountain is the centrepiece of this extensive and wild National Park. 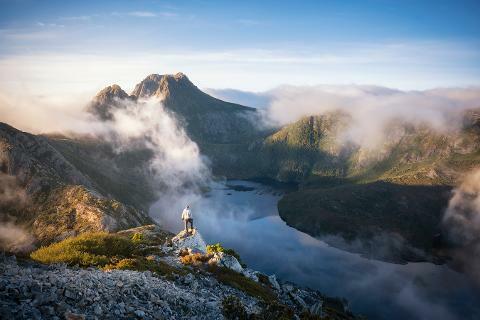 It is part of the Tasmanian Wilderness World Heritage Area and home of the world-famous Overland Track. Just off to the Northwest side of the centre of the island, Cradle Mountain-Lake St Clair National Park contains towering rainforests and impressive Alpine heaths. This popular national park offers an array of nature walks from the short, flat and easy to the incredibly difficult. In fact, it is a rite of passage for any serious Tasmanian hiker to summit Cradle Mountain herself. You'll find Lake St Clair in the southern end of the park near Derwent Bridge. With Cradle Mountain towering off to the north, this pristine lake is surrounded by nature walks. Derwent Bridge makes for a good base camp accessing the southern end of the park. It has a quirky roadhouse, a massive ongoing art project and comfortable accommodations. You can access the southern end of the park at Derwent Bridge in the centre of Tasmania. It's a quick two and a half hour drive from Hobart that spans over 174 kilometres. Derwent Bridge gives you access to Lake St. Clair with Cradle Mountain towering in the background. The northern part of the park is easily accessible from Launceston. The drive from this inland city takes about two hours and spans 140 kilometres. Devonport is only 80 kilometres to the north and the drive takes a little over an hour. The northern end of the park is where you'll find the base of Cradle Mountain herself. There are no roads that connect the northern and southern sides of the park. And you'll have to watch the weather on your trip up to either end of the park as snow may occasionally close down the Lyell Highway. This massive Park covers more than 1614 km² in the centre of the Tasmanian island. There are two entrances to the park on the opposite northern and southern ends. The town of Sheffield is where you'll make your base camp for explorations of Cradle Mountain in the North. Derwent Bridge is your base camp for Lake St Clair in the south. Freshwater trout fishing is a popular activity in this impressive national Park. The southern end of the park gives you access to the sparkling waters of Lake St Clair while the northern end of the park also offers up an abundance of ponds, lakes and streams. You'll have to obtain a permit to take advantage of fishing in the area. Lake St Clair boasts plenty of nature walks. There is a brand-new visitor facility in Derwent Bridge with impressive informational displays. Take a stroll around this crystal-clear Lake to see reflections of the snowcapped mountains sparkling off the waters. 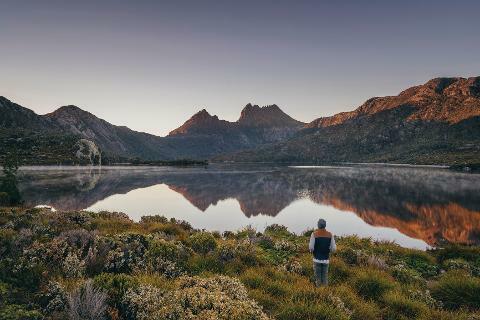 While the southern end of the park is a walker's paradise, you'll find plenty of impressive hikes at the base of Cradle Mountain in the North. Take a stroll around Dove Lake and make sure to bring a high-quality camera. The reflection of the mountain off this placid stretch of water makes for an impressive picture worth sharing on social media. Or you can choose to summit the mountain herself. Lake St Clair offers visitors the opportunity to take a ferry around Cynthia Bay and Narcissus Bay. It is an easy way to explore the lake while giving yourself front row seats to views of the thundering snowcapped mountains. You can even challenge yourself by getting dropped off halfway through the ferry service in order to walk back to Derwent Bridge. While there is very little evidence of early European settlements in the national park, you'll find plenty of aboriginal historic sites in Cradle Valley. You'll find informational displays and artifacts including stone tools, rock shelters, stone weapons and caves. 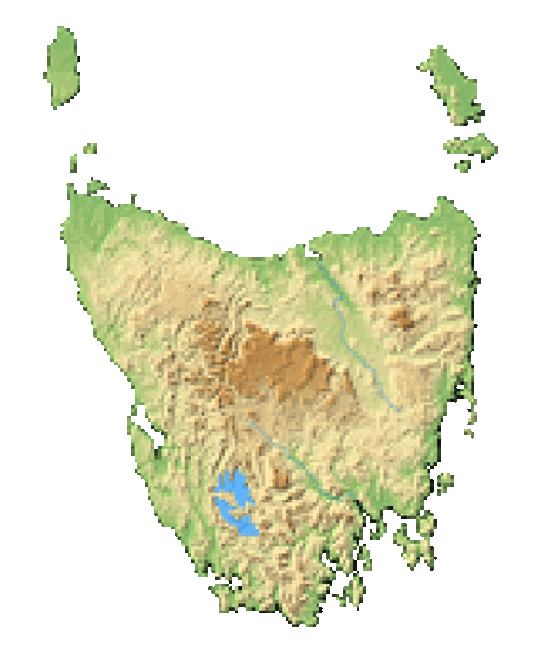 The Overland Track stretches more than 65 kilometres. This overnight hike is commonly done from the north to the south ending in Derwent Bridge. You'll have to book the hike ahead of time as the National Park Service limits the number of walkers during booking season between October and May. Park Rangers offer up a variety of activities during the summer and autumn months. These include guided walks, informative talks and slideshows. It's a great way to learn about the park and explore the thundering natural surrounds while staying safe. The northern end of the park is marked by the towering Cradle Mountain. The southern end features the prominent Lake St Clair. But the park also features biodiverse grasslands and rainforests at a variety of elevations. It is marked by the endemic King Billy Pine and the park provides a nurturing habitat for an array of wildlife. This national park sits at elevation so you are likely to run into some snow in the winter. In fact, the snow has been known to shut down the Lyell Highway which gives you access to both ends of the park. But summertime temperatures remain relatively cool which makes for comfortable hiking. Unfortunately, you'll have to deal with very fickle weather. The weather can change abruptly at any time of day so pack accordingly. this protected wilderness provides habitat for the famous Tasmanian devil. You'll also find plenty of red-necked wallabies. In fact, during rutting season, you might be lucky enough to see a couple of wallabies fighting over a mate. You'll also find the lovingly lazy wombat wandering the park as well as possums, quolls, currawongs, echidnas, pademelons and ravens. Bird lovers flock to this part because it has been designated an Important Bird Area. Tasmania is home to many endemic bird species in this park contains 11 of those species. You'll find flame robins, pink robins and striated fieldwrens at both ends of the park. The towns of Sheffield and Derwent Bridge offer visitors incredible infrastructure right at the northern and southern ends respectively. Each town offers up a comfortable hotel, cabins and backpackers accommodations. You'll find comfortable accommodations at the south end of the park at Cynthia Bay. Camping is available as well as a general store, restaurant, public telephone and picnic areas. You'll also find basic accommodations, cabins, chalets and campgrounds in the north of the park near the entrance at Sheffield. The history of this National Park is a story of love. The founding father and mother of the national park, Gustav and Kate Weindorfer, worked tirelessly to bring attention to this incredible stretch of land. After buying up as much land as possible, the couple built a chalet from King Billy Pine. They even dragged antique bathtubs many kilometres over uncut bushlands. Their labour of love attracted many guests when the chalet finally opened in the early 20th century. Unfortunately, the mother of Cradle Mountain-Lake St Clair National Park suffered an untimely death leaving Gustav to entertain guests alone. Mired in loneliness and despair, Gustav continued to attract visitors to the chalet which put this impressive stretch of land on the map. Finally, the couple's work paid off in 1921 when the area was named a national park. 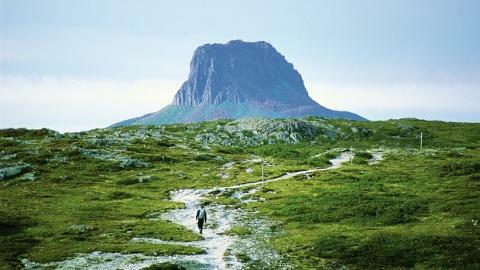 Gustav would pass away just 10 years later in the view of his favourite mountain and next to his long-departed lover. The chalet fell into disrepair after Gustav's death, but a replica has been built using King Billy Pine. This new chalet can now be visited at the original site of the Weindorfer's labour of love. National park lovers from all over the world make a pilgrimage to this site to pay their respects to this intrepid couple.